People still have misconceptions about accessibility required by the Fair Housing Act, but it's worth getting up to speed on the subject. 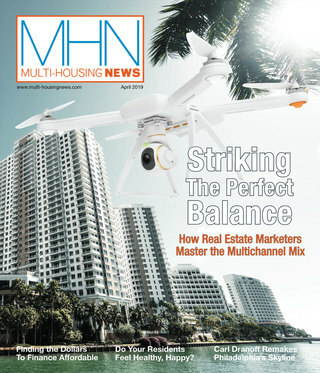 As HUD continues to spread the word about multifamily accessibility requirements, one would think that the multitude of headline-grabbing lawsuits should be the most effective eye-opener for the multi-housing industry. A 2005 lawsuit filed in a federal court in Maryland comes to mind. The Equal Rights Committee (ERC) charged that more than 100 properties owned and/or managed by the national REIT were designed and constructed in violation of the Fair Housing Act’s (FHA) accessibility requirements. From a punitive perspective, ERC alone received a payment of $1.4 million for costs, damages and attorney’s fees. At least one recent case involved damages nearly 10 times higher. It’s no wonder these agencies are annoyed when at least two attorneys who represent multi-housing clients have heard from reliable sources that up to 50 percent of the nation’s multifamily portfolio is non-compliant with FHA requirements. 1. An accessible building entrance through an accessible route. The language in the Act refers to “ground” floor—not “first” floor—entrances. “Changes in terrain and elevation may have the ‘ground’ floor doorway enter into the second level of the building,” says Green. “That’s still the ground floor as far as the FHA is concerned.” And, there may be more than one “ground floor” in a building, depending on its design, adds Kitay. 2. Accessible and usable public and common-use areas. This includes everything from washers, dryers and coin change machines to pool decks and ramps. 3. Usable doors; for all “covered units,” meaning those on the ground floor or all units of the building on floors serviced by an elevator. Common violations here would be improperly designed sliding glass doors inside the apartment or knobs that require too much dexterity or exertion for a disabled person to use. 4. Accessible routes into and through the covered dwelling unit. Even something as simple as placing a large planter, vending machine or other partial obstruction near a door, elevator or hallway could result in a violation. 5. Light switches, electrical outlets and other controls must be in accessible locations. “This also means that thermostats must be low enough for a person in a wheelchair to read the settings,” says Green. 6. Reinforcements in all bathrooms for the possible later installation of grab bars. “The grab bars don’t need to be there, but the infrastructure to successfully mount them is needed,” observes Green. The developer’s design team should be familiar with FHA requirements, as opposed to other accessibility laws. “Keep in mind that the law at issue here is not the Americans with Disabilities Act; don’t be lulled into complacency by a design team that constantly refers to the ‘ADA,’” warns Kitay. While the ADA and the Fair Housing Act may have some elements in common, they have different requirements, different scopes of coverage and different enforcement mechanisms. “Relying on ADA requirements and scoping in the case of multifamily residential construction will not result in FHA compliance,” says Kitay. Property owners and developers would also be wise to review the insurance carriers for the architects and engineers involved, particularly to cover the often-significant costs of retrofit. 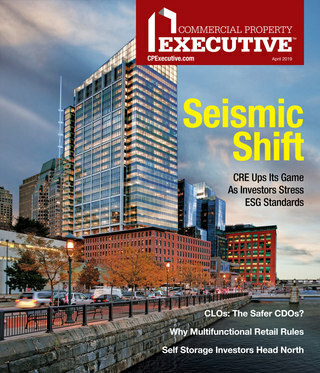 Are buyers of existing buildings liable? Multifamily properties are often built to be sold, or may be sold years after they are first occupied. While no reported judicial decisions have affirmed the theory, both HUD and the Justice Department agree that a subsequent owner who had no involvement in the property’s original design and construction will likely not have direct liability for FHA violations arising from that original construction, according to Kitay. At the very least, both attorneys agree that a subsequent owner will certainly be requested to participate in any enforcement action against the original design team, and provide access to the property for often costly and complicated retrofits. Fortunately for the multi-housing industry, there is a two-year statute of limitations on accessibility cases. For example, in July of 2009, The North Dakota Supreme Court rejected the state’s appeal in the case of a Fargo man who said his apartment building was not equipped to handle wheelchairs. The justices upheld the dismissal of the case against the Fargo property owner on grounds that the Evert Johnson’s 2005 discrimination complaint was filed too late. In addition, adds Kitay, the United States (through HUD or the Dept. of Justice) has no statute of limitations on “injunctive” relief, which includes retrofits. First published in 1996, the revised “1998 Fair Housing Act Design Manual: A Manual to Assist Designers and Builders in Meeting the Accessibility Requirements of The Fair Housing Act” provides guidance about ways to design and construct housing that complies with the Fair Housing Act. HUD recommendations are made, which, although not binding, meet the Department’s obligation to provide technical assistance on alternative accessibility approaches that are, at least minimally, in compliance with the Act. The latter allows housing providers to choose among alternatives and provides persons with disabilities with information on accessible design approaches. More recent worries for developers include ADA regulations that took effect in Feb. 2011 that expand coverage of that law to include student housing, even if the housing is otherwise comparable to a private multifamily development. “This is a huge and very technical change, because the accessibility provisions of ADA will now apply to housing in places of education,” says Kitay. “There are some pretty major accessibility features you’ll find under ADA, such as roll-in showers, wider doors and other requirements. “There’s been a lot of litigation, and there’s going to continue to be some very important cases in the foreseeable future,” Kitay concludes. Editor’s Note: The information contained in this article should not be considered legal advice. Consult with your own counsel as to any fair housing questions or problems you may have.